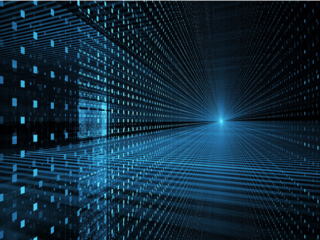 Bitcoin and Blockchain are relatively new concepts introduced to the world during the last decade. Nevertheless, cryptocurrency attracts millions of people around the world: buying and selling, mining, investing. Crypto market is very volatile and, thus, extremely challenging for the newbies. This is your chance to learn more about investment through bitcoin futures. What are Bitcoin Futures? 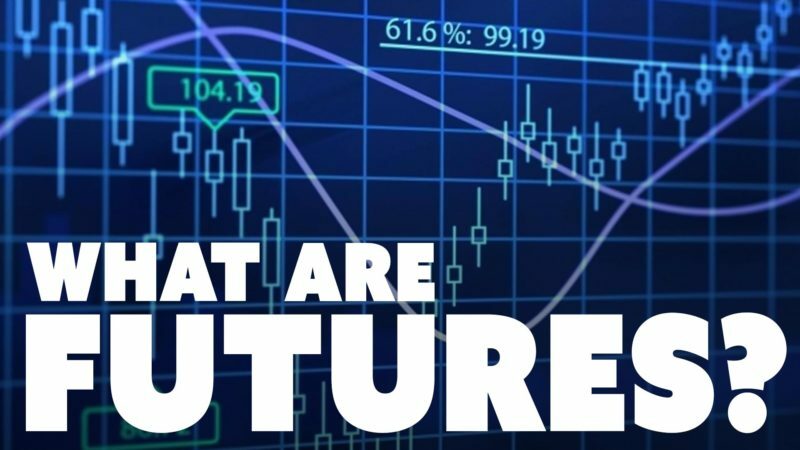 What are Futures, Futures Contracts and Bitcoin Futures? What do Bitcoin Futures Mean for Bitcoin and Blockchain? How to Buy Bitcoin Futures? How to Trade Bitcoin Futures? Futures are nothing but contracts which are to be executed in future between two or more parties at designated price and time. It is to be clearly mentioned, that the price designated in the contract may not be changed at the time of its execution if at all the price fluctuates and has altered until then. 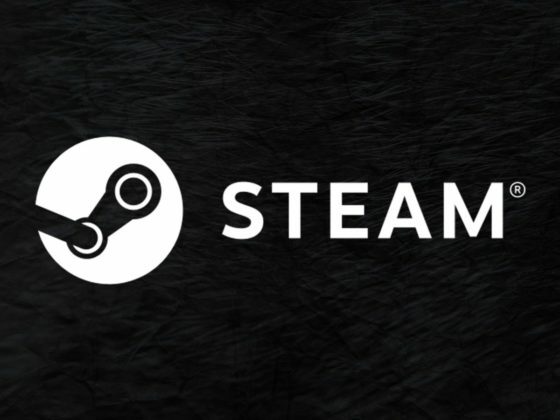 This feature might lead to a loss of one of the party and profits to the other. In other words, once the futures contract has been entered, both parties have to buy and sell at the agreed-upon price, irrespective of what the actual market price is at the contract execution date. Nevertheless, it is not to maximize the profit but it is a risk management tool, in order to stabilize the fluctuations in the actual market prices. 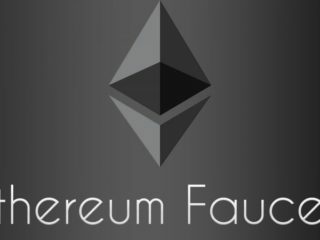 Such Future contracts are traded on the exchanges. The option to buy at a specified price in the future is known as a call option. The price of call options rises when traders assume that the price of the underlying asset will rise. Options to sell are known as put options. The price of put options rise when traders expect the prices to fall of an underlying asset. There are two positions you can take on a futures contract: long or short. If you take a long position, you agree to buy an asset in the future at a specific price when the contract expires. When you take a short position, you agree to sell an asset at a set price when the contract expires. You assume a long position towards the underlying asset when you speculate the rising prices of an asset, and a short position when you speculate on falling prices (also known as “going long” and “going short”). Options give you leverage. That means that with a limited amount of capital, you can profit much more by buying options than assets – but also lose much more. This is because a small difference in the price of the underlying asset immediately leads to a substantial change in the price of the derivative. For example, when a price rises from 1,000 USD to 1,100 USD (an increase of 10%), call options for 1,000 USD suddenly become much more valuable – their prices may rise from 10.5 USD to 105 USD. Thus, if you have invested all of your capital in assets, you will win 10%; in case you have invested in call options, you will pocket a 1,000% profit. The current price of the underlying asset. The so-called intrinsic value of the option, which is simply the difference between the current market price of the asset and the predetermined price in the option (1100 USD – 1000 USD = 100 USD in this example). The remaining time until the expiration of the option. The volatility of the underlying asset. 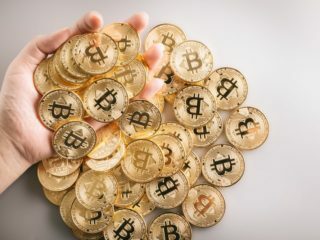 Bitcoin Futures was introduced by two of the major exchanges, Chicago Mercantile Exchange (CME) and the Chicago Board Options Exchange (CBOE), in December 2017, when the initiative got an affirmative response from the Commodity Futures and Trading Commission (CFTC), hence Bitcoin Futures might also be considered as a completely legitimate way of Bitcoin trading. With Bitcoin futures you are fixing the price that you want to sell or buy a certain amount of bitcoins at a certain point in the future. 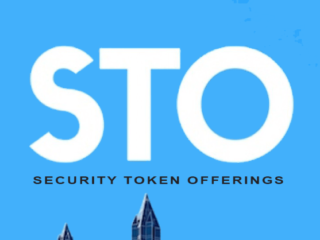 As you don’t have to make the purchase immediately then you are also leveraging your position by having exposure to an asset whilst only posting collateral – or a small percentage of its cost – so with 10 to 1 leverage you are exposed to ten Bitcoins instead of one – but also exposed to their potential losses – leverage is a dangerous game but also a potentially rewarding one. Imagine that persons A and B enter into a Bitcoin Futures contract where the contract is to be executed two months ahead of the current date and the contract is to buy 1 bitcoin, at the price of $10,000 by person B from A with the current market price being $8,000. Here person A is preferred to be on the short end and person B on the long end since B is buying. Now, if the price has increased to $12,000 after two months the trade is executed where 1 Bitcoin is sold by person A to B at $10,000 only. It is clearly a profit of $2000 for person B. Hence they have secured themselves of the price fluctuations. Futures contracts usually are subject to certain limits with regard to just how far prices can go before they trigger either a temporary or permanent halt. The CME Bitcoin futures are subject to fluctuation limits on a daily basis. There are limits set at 7%, 13%, and 20% to either side of an upside or downside. To determine the official value of any given contract, CME uses what it calls Bitcoin Reference Rate (BRR). The BRR is calculated based on the rates from the biggest exchanges: Bitstamp, GDAX, itBit, and Kraken. More concretely, it is calculated based on all Bitcoin vs. USD trades on the participating exchanges between 3 and 4 p.m. London time. To calculate the BRR, the hour between 3 and 4 is divided into 12 intervals of 5 minutes. For each interval, the volume-weighted median of the Bitcoin price is calculated (statistically, the median, in contrast to the average, prevents single outliers from distorting the price). The BRR is then the average of these 12 median values. 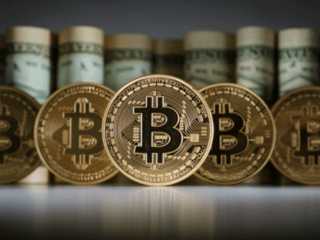 Futures contracts allow leveraging and thus afford traders the chance to multiply winnings or losses depending on whether Bitcoin prices rise or decline. The CME Group allows a 47% initial margin requirement. So, for one to purchase a CME futures contracts, they need an outlay of 47% of the current price multiplied by 5. For instance, at current prices of $6,600, each contract will have a notional value of $33,000. Therefore, one would need $15,510 to benefit from a futures contract worth $33,000. A hedger is someone who owns or plans to purchase an inventory of a commodity and wishes to reduce risk associated with this ownership. Hedgers make their purchases or sales solely for the purpose of establishing a known price level in advance for something they later intend to buy or sell in the cash market. They do this by taking an equal and opposite position in the futures market than they have in the cash market. As the price of the commodity fluctuates, the hedger is protected because gains in one market are offset by losses in the other market, regardless of which direction the price moves. Hedgers willingly give up the opportunity to benefit from favorable price changes in order to achieve protection against unfavorable price changes. For example, if you grow tobacco, you might sell tobacco futures so you can lock in your price, in case the price of tobacco drops by the time you bring your tobacco to the market. In the case of bitcoin, the miners fall into this category. On the other hand, if you produce cigarettes, you might buy tobacco futures, so you can lock in your input costs. In both cases, you are using futures to hedge against future price changes. Buying futures hedges against the price going up, and selling futures hedges against the price going down. Speculators, on the other hand, are willing to accept the risk the hedger wishes to relinquish. Speculators take positions on their expectations of future price movement often with no intention of making or taking delivery of the commodity. They buy when they anticipate rising prices and sell when they anticipate declining prices. The speculator provides a very important function in the futures market because without him, the market would not be liquid and the price protection sought by the hedger would be very costly. Speculators are drawn to futures because of their high leverage and relatively fast price movements. 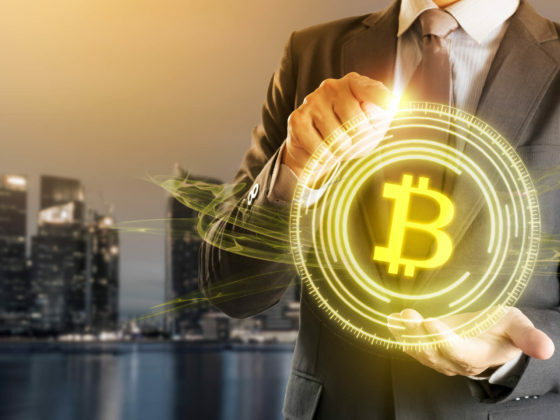 As Bitcoin Futures are the regulated form of investment, it is more likely to be accepted by the masses of people who are skeptical about the unregulated nature of the cryptocurrencies. Therefore, it indirectly helps in increasing the interest in the cryptocurrency space. Many institutional investors also open up opportunities for their clients to invest in them. In the long run, futures are supposed to increase the market efficiency and reduce volatility. But in the short run, we could see an increase in volatility as a wave of new participants now has access to the market — both to go long and short. As more people become aware of the cryptocurrency industry, the uptake of altcoins will increase and push prices upwards. The flipside is also possible; investors might want to sell their altcoins for Bitcoins in order to take part in its bullish run. Large-scale exits could cause a drastic drop in the price of alternative cryptocurrencies. Although Bitcoin is the only cryptocurrency with Futures, in future it is possible that other coins like Ethereum, Litecoin, Bitcoin Cash, Ripple, etc. would initiate such Futures contracts with respect to their cryptocurrencies as well. Under the CME, Bitcoin Futures is categorized under the Equities Group and falls into the CME’s Base Guaranty Fund for futures and options on futures, similar to any newly listed futures. This does not guarantee your profits or losses but ensures that the exchange guarantees against counter-party risk. 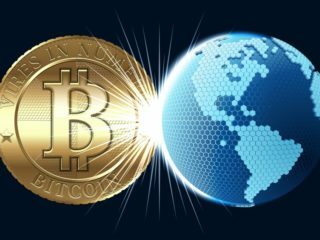 Main things you should consider before getting into bitcoin futures trading. You don’t actually have to own any BTC. This means you don’t have to set up a wallet or possess the coin. Instead, you can just profit (or lose money) directly through fiat currency such as US or EUR. This removes another obstacle to purchasing bitcoin and attracts more speculators into the market. Another consideration is that it offers the perception of a safer and more regulated environment in which to trade bitcoin. Options exchanges are tightly regulated, which brings a dose of legitimacy to the volatile cryptocurrency market. It can be a useful tool for cautious traders who want greater protection from the natural volatility of bitcoin. For example, a trader who holds a lot of bitcoin, but thinks the price will have a downturn, is able to “short” bitcoin and make a net profit from the downturn even though bitcoin has lost value. Or, a “bullish” trader who thinks the price of bitcoin will increase can “go long” on it and profit from bitcoin going up, without actually holding any. Futures trading is when you place an order to buy or sell an asset at a future price, rather than the current price. For those looking to enter the Bitcoin futures market, the first and fundamental question is whether the motivation is speculative or to protect current Bitcoin earnings from any downside. Choice of exchange may be considered arbitrary, but it would be best to go with the exchange with the greatest number of futures contracts issued, as both will be considered liquid from an investor perspective. When looking to trade with margin, this is essentially the funding component of the trade executed on the futures exchange. As investors will not actually own Bitcoin itself, there is no need for the full value of the purchase to be paid in advance of the contract expiry date. In the event of an investor holding a contract until the expiration date, the amount paid, if out of the money, is limited to the difference between contract price and the actual price. The margin is placed on a margin funding account as collateral for the trade. 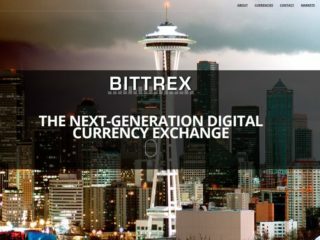 Final settlement on both exchanges is in U.S Dollars, with no actual Bitcoins held during the duration of the contract that requires settlement. It’s worth noting that, while those looking to hedge Bitcoin’s value are likely to hold futures contracts through the expiration, speculators are likely to be buying and selling Bitcoin ahead of expiration, taking advantage of daily movements in response to market noise. For this reason, market liquidity is particularly important for those holding futures contracts as an inability to find a buyer can have quite dire consequences to the futures market and the price of Bitcoin itself. 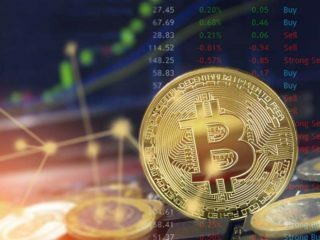 Bitcoin Futures are usually traded on two of the most prominent cryptocurrency exchanges which are BitMEX and OKCoin. 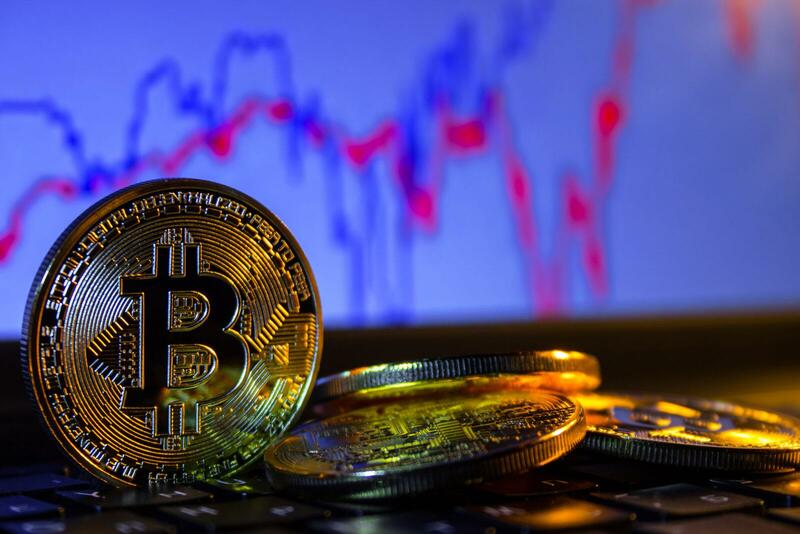 However, they are traded as a completely regulated commodity on standardized exchanges of Chicago Mercantile Exchange (CME) and the Chicago Board Options Exchange (CBOE). Trading directly on CME is not possible unless you are a broker yourself. This means that you have to pay a high fee – between thousands and hundreds of thousands of USD – to join CME. As an individual investor, you need to find a broker who trades on CME. You will then open an account with this broker – a margin account rather than a cash account because in options trading, there is a margin involved. Because this poses a higher risk for the broker – in case you can’t settle your debts – these deals can only be done in special margin accounts and not cash accounts. Market Data: $5 from the CME, and $15 for the CBOE. The cost for trading futures are very low compare to currency forwards. Wall Street has adopted Bitcoin and some people will call it “indirect centralization of Bitcoins”. There is nothing to be happy about or to worry about. Just sit back and get ready for whatever is about to happen. If you have some bitcoin, you can head over to a futures exchange and trade Bitcoin for Bitcoin futures. Or you can wait and bit to see if the BTC price going rise or drop. Overall, the launching of bitcoin futures by CBOE and CME will facilitate price discovery and price transparency, enable risk-management via a regulated bitcoin product and give a further push to bitcoin as an accepted asset class. Nine Bitcoin Success Stories – Will You Become Number 10?